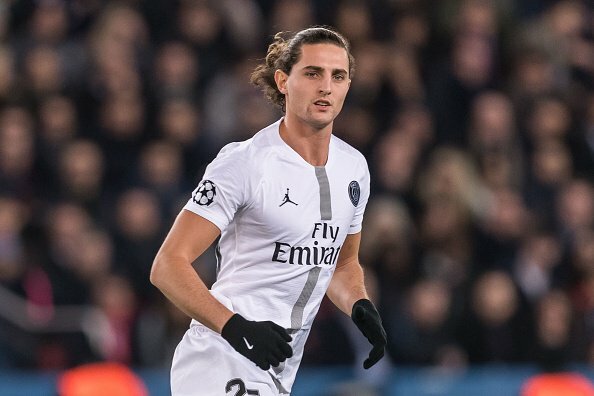 Tottenham Hotspur are ready to pounce for the Paris Saint-Germain outcast Adrien Rabiot by making a £20m bid this week, according to reports in France, carried by The Sun. The 23-year-old midfielder has been training with the Parisians’ Under-23s side after refusing to extend a contract at the French capital. The France international is running out of contract at the end of the season and the Ligue 1 champions are now looking to cash in before his deal expires this summer. The Spanish champions Barcelona are believed to have offered the playmaker a pre-contract offer earlier this month, but they have since agreed to sign in Frenkie de Jong from Ajax. The report claims that Spurs will now try their luck with a £20m offer before the end of the month. Tottenham boss Mauricio Pochettino is said to have already been in touch with Adrien Rabiot and is keen to finalise a move.